BMWThe auto industry believes subscription services could lead to more consistent and predictable revenues. BMW will start testing its upcoming car subscription service next week,Bloomberg reports. According to Bloomberg, the service, called Access by BMW, will debut as a pilot program at a BMW dealership in Nashville on April 2. A BMW spokesperson told Business Insider that the pilot program will arrive in 2018, but did not comment on when or where the the program would begin. BMW will start testing its upcoming car subscription service next week, Bloomberg reports. According to Bloomberg, the service, called Access by BMW, will debut as a pilot program at a BMW dealership in Nashville on April 2. 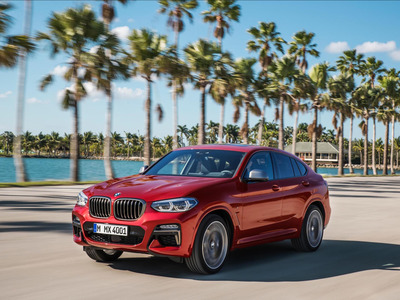 A BMW spokesperson told Business Insider that the pilot program will arrive in 2018, but did not comment on when or where the the program would begin. Generally, car subscription services allow users to switch between different models of a brand’s vehicles for a monthly fee that’s often higher than the one a customer would pay after buying or leasing a vehicle. Part of that premium comes from the user’s access to multiple vehicles, and part of it comes from the insurance and maintenance services that come with the subscription. Subscription services are seen by the auto industry as a potential solution to its boom-or-bust nature. By having users pay a consistent, monthly fee – rather than buying a car once every three-to-five years – auto companies can create more predictable revenue streams. While the auto industry has posted strong sales numbers in recent years, car manufacturers and dealerships are worried that a downturn is near. A 2016 report from the consulting firm McKinsey & Company predicted that “on-demand mobility services and data-driven services” like subscriptions, ride-hailing services, and remote software upgrades could create $US1.5 trillion in additional revenue for the auto industry in 2030.